‘Twas the season to indulge, friends, but now ’tis the season to atone. Throughout the month of January, we’ll be bringing you all sorts of Wellness Realness—information and inspiration you can use to get out of lax mode and into good-for-you mode. Or at least stop eating cookies for lunch and skipping your morning run. Jersey club is like a funny friend who is always doing the most at the venue–but that’s why you love them. With its anything-goes aesthetic of drums, bass and ridiculous vocal splicing, the musical genre is also perfect to propel you through those last ten minutes on the treadmill. We spoke with Jersey club king and worldwide ambassador DJ Sliink–he of the Brick Bandits and Cartel Music crews–about his musical philosophy, dancing in New Jersey versus anywhere else in the world and the happy accident of recording a vibrating BlackBerry. And he fully endorses the Thump documentary embedded below, so go ‘head and get your learn on. ‘Twas the season to indulge, friends, but now ‘tis the season to atone. Throughout the month of January, we’ll be bringing you all sorts of Wellness Realness—information and inspiration you can use to get out of lax mode and into good-for-you mode. Or at least stop eating cookies for lunch and skipping your morning run. For one moment, try not to focus on the ’80s arrogance, the crotch-shot pose and the pants tucked into socks. Amazing as all those are, direct your eyes instead to homeboy’s footwear. Fresh, right? Classic, actually. Those same New Balance sneakers are in stock today so don’t say we never told you how to walk and/or hike in style–or showed you how to post up properly in a photo. ‘Twas the season to indulge, friends, but now ‘tis the season to atone. Throughout the month of January, we’ll be bringing you all sorts of Wellness Realness—information and inspiration you can use to get out of lax mode and into good-for-you mode. Or, at least stop eating cookies for lunch and skipping your morning run. OK, let’s briefly remember LMFAO from a few years ago, the most annoying band in the world that also seemed to be having the most fun. Dainjazone was their deejay. Turns out his club/EDM mixes are superb for working out. Especially if you enjoy the ego-canceling fury of, say, a good spin class. Not that the nephew of Motown founder Berry Gordy doesn’t have taste or range. He just understands that music is kinetic. Dainjazone (real name Joseph Hampel) spoke with us on the phone between club gigs from Los Angeles. Topics included health, travel and the baffling power of horns. 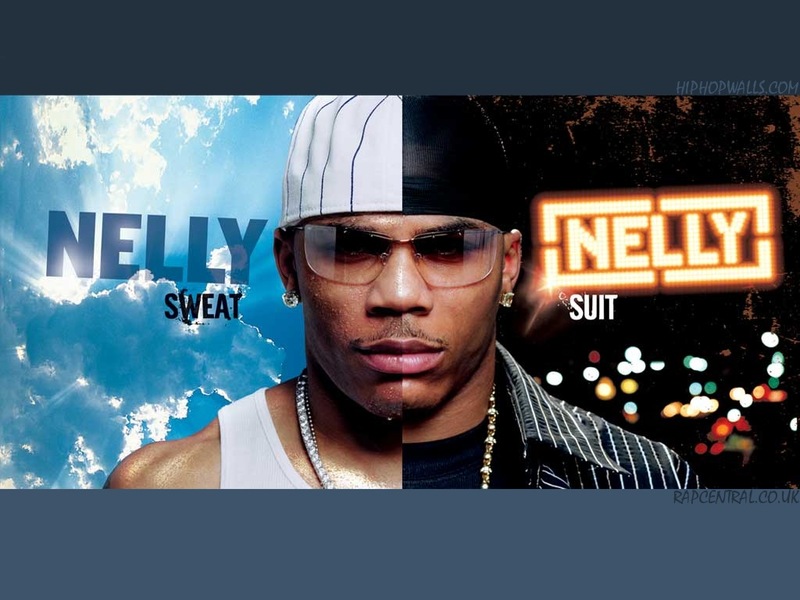 Post-Nelly there seems to be some confusion in this world about what exactly defines a “sweatsuit” and what it is for. Well, it doesn’t get any clearer than this textbook example from the early ’80s. Sweats. In a suit. And why again? Because you have good style (duh). And because you stay open to fitness opportunities in your daily journey through the world. Don’t take our word for it, go ahead and ask Nicki Minaj or President Barack Obama–they’ll tell you DJ Diamond Kuts rules. Philly native Tina Dunham has rocked huge crowds on the Obama campaign trail and helped break Minaj in her early mixtape days, eventually producing original music for the superstar rapper. More impressive to us, though, are Diamond’s regular radio mixes on hip-hop and R&B station Power 99 FM, each one a furious dispatch with flawless between-song cutting (hence the name). While her mixes come in many modes–hip-hop, reggae, R&B–her dance mixes are arguably her most exciting work and perfect workout soundtracks. We caught up with Ms. Kuts on the phone and talked about exercise, the art of deejaying and things to eat in Philly which are not cheesesteaks (no disrespect to cheesesteaks). Circle up the feel-good focused bookworms; this month’s trio of tomes is right in line with January’s Wellness Realness focus. Our post-holiday goals in 2015 include increased food discipline and headphones-enhanced running (call these goals resolutions if you must). The gym is cool, but for those of us who are able, here’s to also simply exploring outside with our homies more often this year. Because the world is beautiful and walking definitely counts as exercise–and IRL relationships matter. Enjoy these behind-the-scenes images from the upcoming Los Angeles episode of Nordstrom’s Sneaker Project: Sneakers in Your City. Of special note: the achingly fresh, soon-to-be-released Nike Air Max Tavas–brother of the classic Air Max 1, cousin to the tech-y Huarache. A lot of professional, up-all-night deejays consider walking to the mini-mart for Red Bull “exercise.” But just days prior to talking with us on the phone from his home in Los Angeles, jet-setting Vice (Eric Aguirre) was in Tanzania climbing Mount Kilimanjaro. So…yeah. To put it lightly, let’s say this big-room deejay, producer and entrepreneur is up for a challenge and dedicated to staying healthy. An avid runner whose fans RSVP and join him while he trains for long races, Vice makes continuous mixes that reflect his lifestyle and can be ideal exercise accompaniment: hip-hop, dance and pop music melded into a zooming combination. He created the one below for “my running following” to aid them in finishing the recent Las Vegas Rock ‘n’ Roll half marathon. He ran the race too, but as he does when he runs, listened only to his heartbeat. ’Twas the season to indulge, friends, but now ’tis the season to atone. Throughout the month of January, we’ll be bringing you all sorts of Wellness Realness—information and inspiration you can use to get out of lax mode and into good-for-you mode. Or, at least stop eating cookies for lunch and skipping your morning run. Are you hip to BPM Fueled by Zella, Nordstrom’s new in-house athletic line for men? Five just-released items are well worth considering, with more to come. ’Twas the season to indulge, friends, but henceforth ’tis the season to atone. Throughout the month of January, we’ll be bringing you all sorts of Wellness Realness—information and inspiration you can use to get out of lax mode and into good-for-you mode. Or, at least, to stop eating cookies for lunch and skipping your morning run.